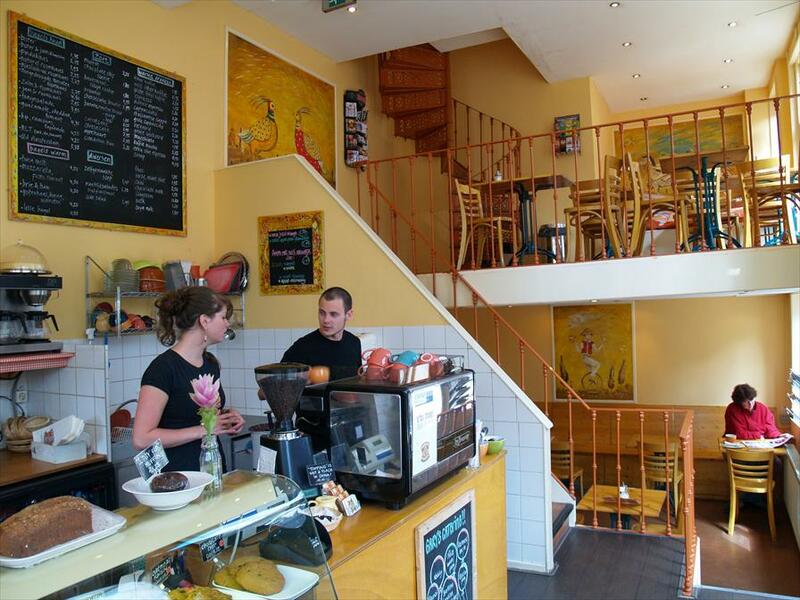 Gary's Deli - Restaurants & Cafés in Amsterdam. This lunchroom, that features a beautiful terrace, serves coffee, bagels and a number of American pastries, including muffins, brownies, cheesecake and carrotcake. They also have delicious salads, lasagne, soups, and fruit and yogurt shakes and juices. They also cater for any occasion. 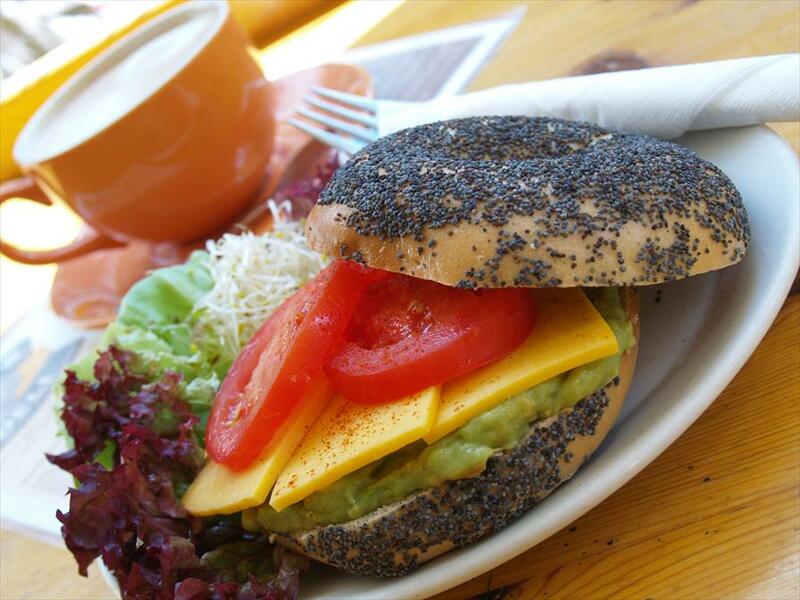 Gary’s Deli is characterised by its bagels, made following the authentic recipe. They are boiled before they are baked. These delicious bagels draw in a wide variety of people, from neighbourhood locals to tourists, most of whom come back for more. The store’s interior incorporates a lot of wooden elements. This gives the lunchroom a warm, convivial and cosy atmosphere, which is amplified by the different levels inside the store and the personal attention given to each individual customer. The store has a free WiFi-connection. Fair Trade coffee and Celestial Seasonings tea (Chai is also available). Sundays feature American pancakes.